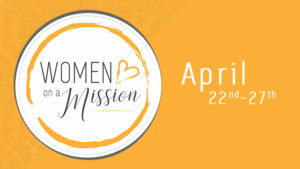 Women on a Mission week is starting April 22nd and goes through April 27th. We have lots of amazing opportunities to serve Jesus while serving others this week. Thanks, ladies for sharing your love for Jesus locally! Sign-up deadline is April 21st. For more information click on the link in the sidebar on the right. By signing up for this event and checking this box I give Lake Community Church permission to take photos and videos of me to use for memorable and/or promotional use. Thank you in advance as LCC photographers/ videographers have found it difficult to pinpoint individuals that have not agreed in previous media releases. If you do not wish to have your photo taken please tell the photographer/ videographer at the event and they will do their best to comply with your request.